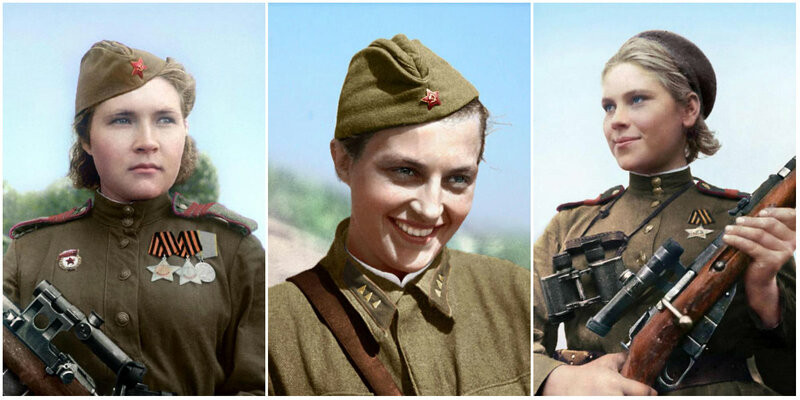 Stunning colorized images have given new life to WWII female snipers who protected their territory against German attacks, including the most successful female sniper in history, Lyudmila Pavlichenko also known as 'Lady Death'. 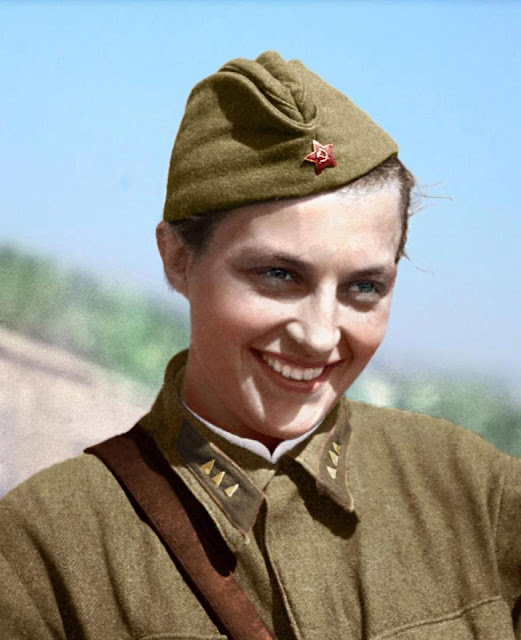 Olga Shirnina became popular thanks to her Flickr page, where she posts colorized versions of historical photographs. 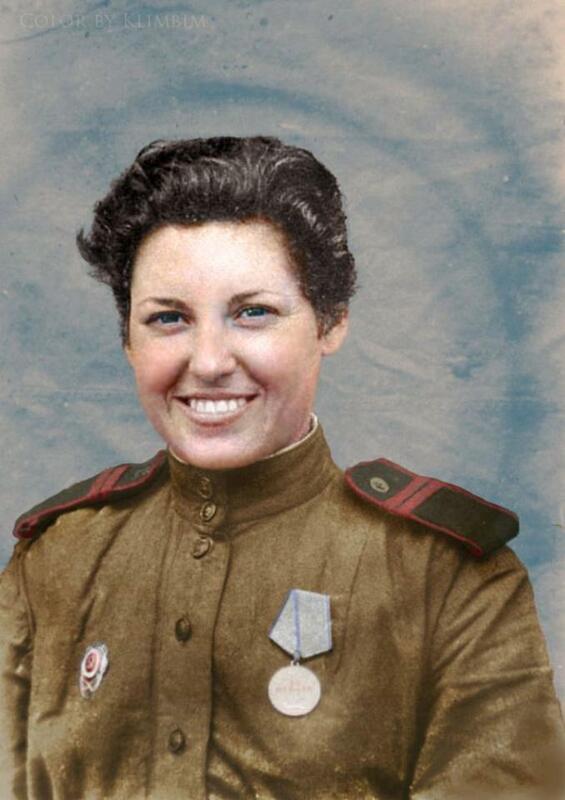 She mostly posts photographs from the Russian Empire and the Soviet Union, as well as pictures of Hollywood celebrities from the previous century. 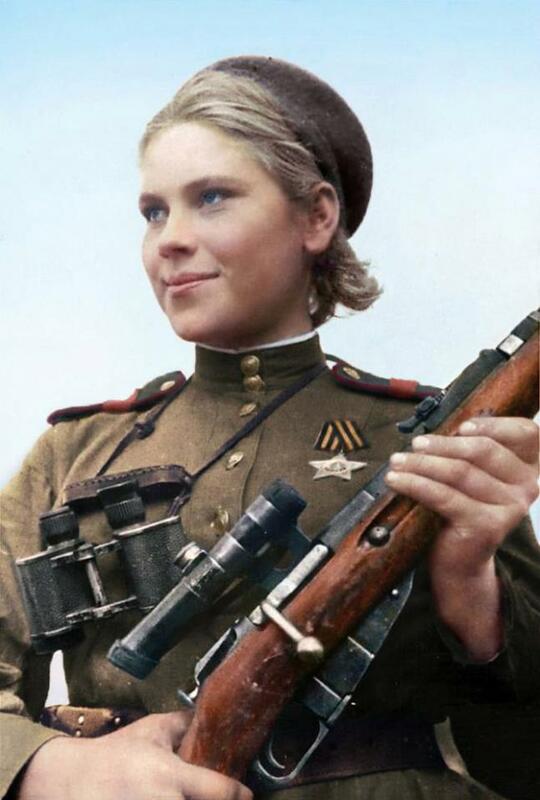 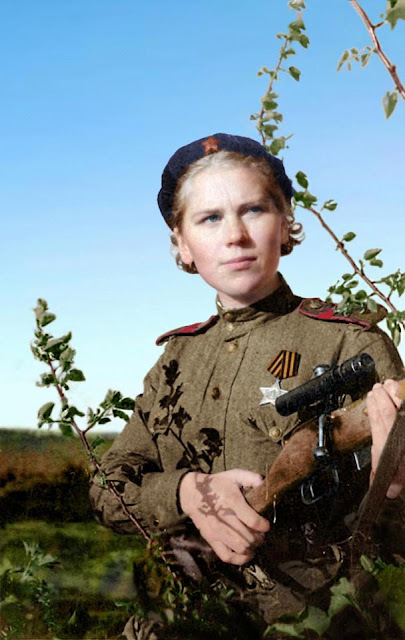 Roza Shanina was one of the 800,000 women who fought in Russia. 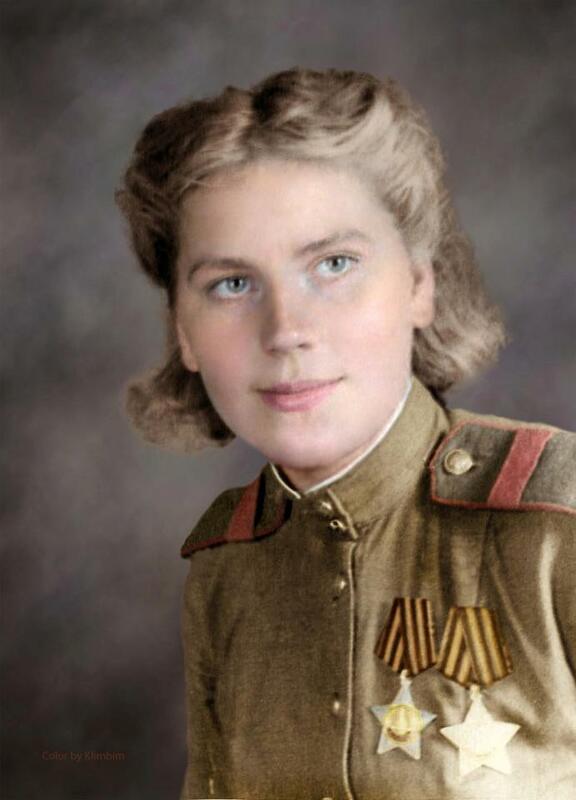 Lyuba Makarova was one of the 800,000 women who served in Russia during WWII. Lyudmila Pavlichenko pictured smiling in her uniform. 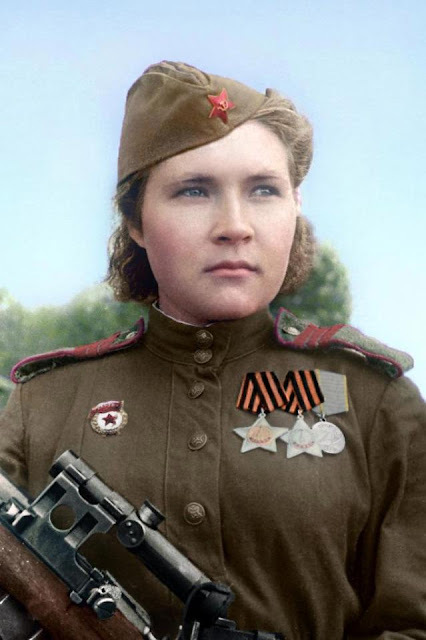 Roza Shanina, who was responsible for 59 kills in WWII. Ziba Ganiyeva was one of the Russian women fighting against Nazi Germany during WWII. 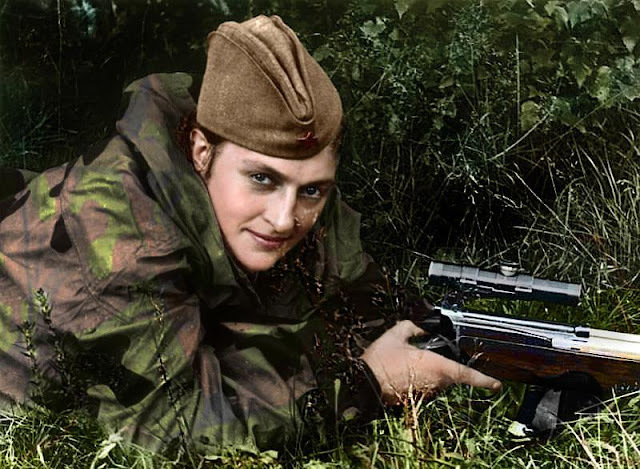 Lyudmila Pavlichenko is the most successful female sniper in history. 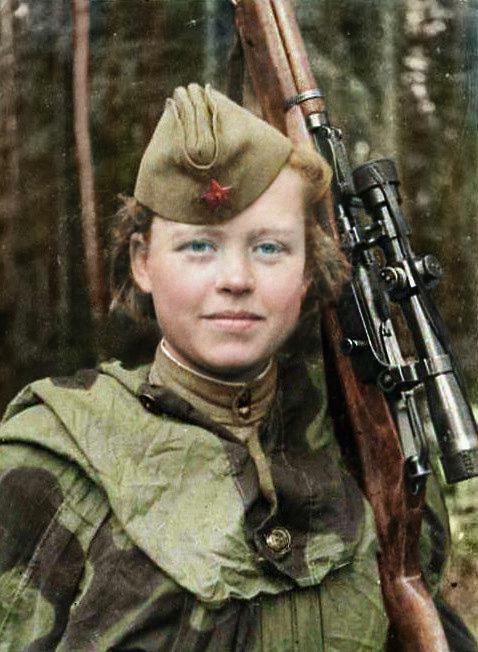 Sniper Yevgenia Makeeva killed 68 Nazi soldiers during WWII. Beautiful blonde Roza Shanina, who was responsible for 59-confirmed kills. 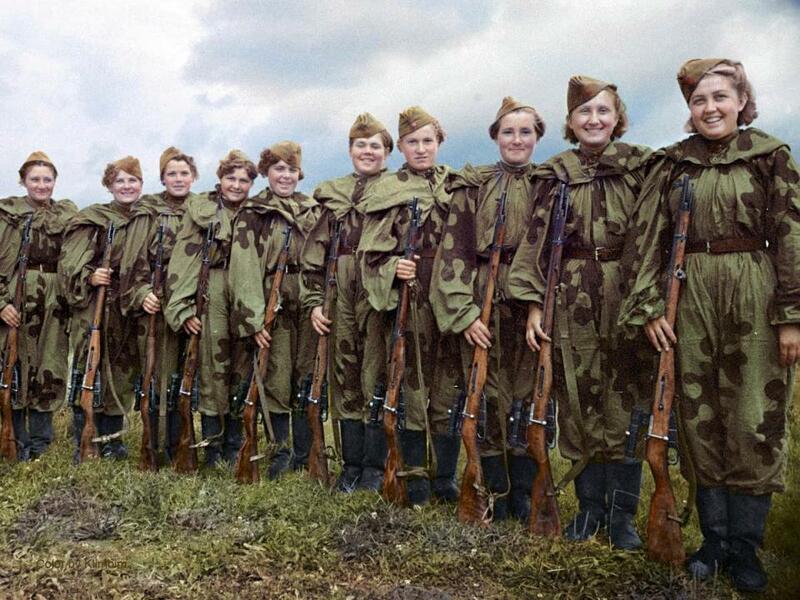 Women of the Central Women’s School of Sniper Training, 1943. 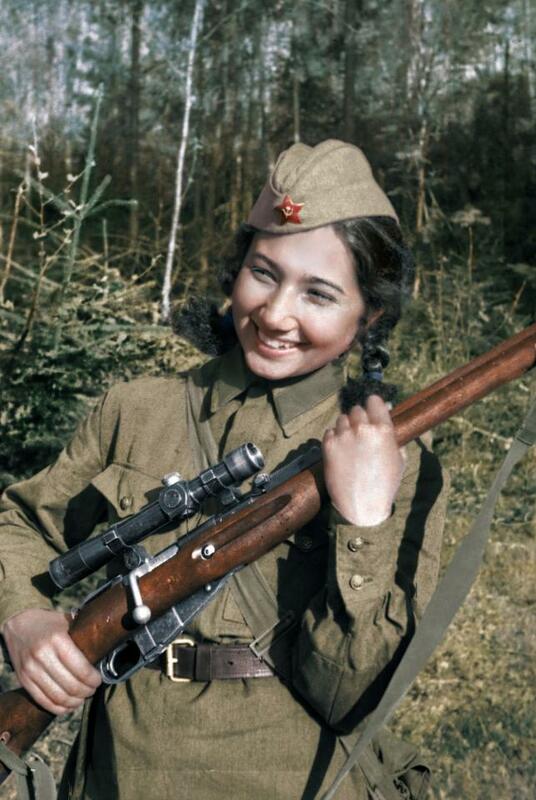 Roza Shanina was one of the 800,000 women who served in the Soviet Armed Forces during the war as a sniper. 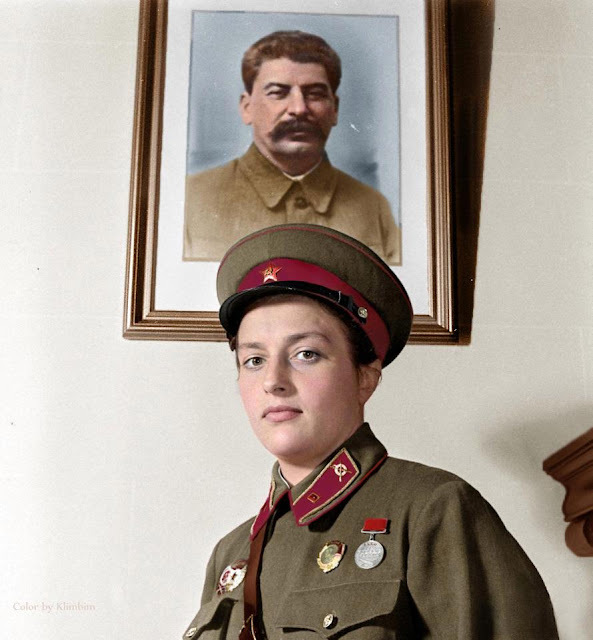 'Lady Death' is pictured wearing full uniform beneath a framed picture of Soviet dictator, Joseph Stalin. 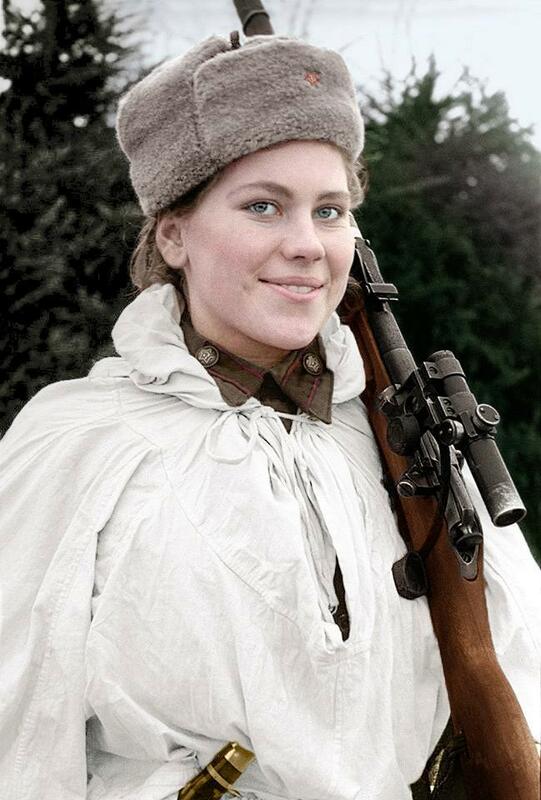 Sniper volunteer Nadezhda Kolesnikova is pictured smiling alongside her weapon. Roza Shanina had a high success rate during her time working in WWII fighting against Nazi Germany. 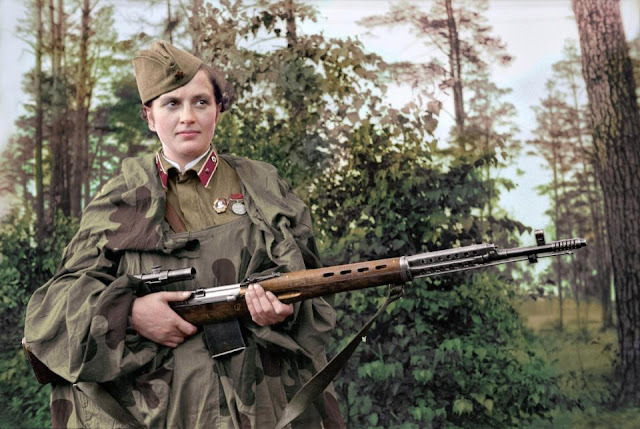 Lyudmila Pavlichenko Soviet sniper during World War II. 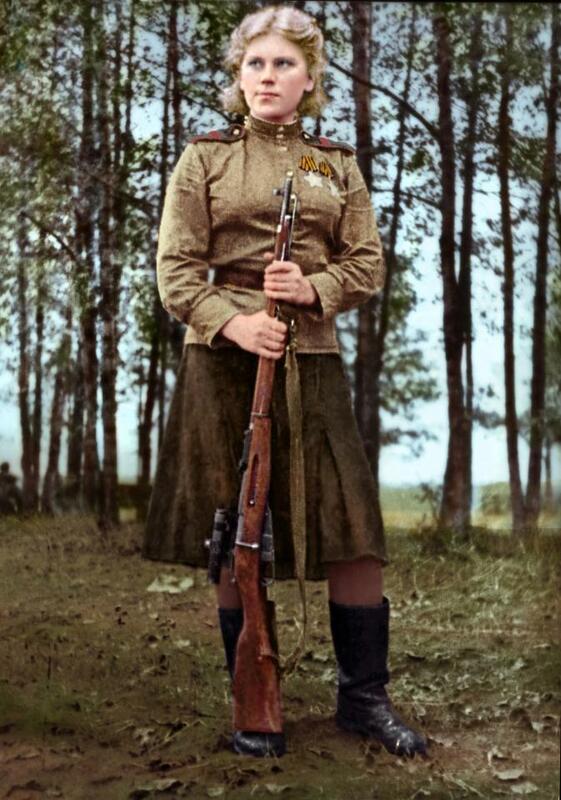 Credited with 309 kills the most successful female sniper in history.